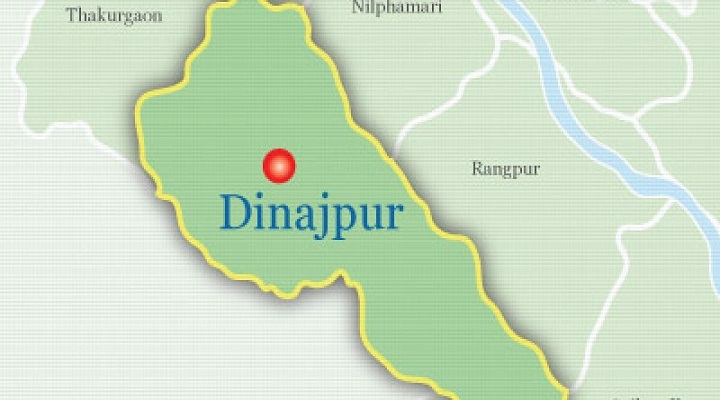 Two people were killed and 10 others injured in a collision between a truck and a human-hauler on Dinajpur-Panchagarh highway in Gopalganjhat area in Dinajpur district town on Thursday morning. The deceased were identified as Atul Babu, 45 and Abdus Sattar, 60, UNB reports. Quoting witnesses, police said the accident took place in the area around 11:30am as the truck collided with the cattle-laden human hauler, leaving 12 people injured. The injured were rushed to Dinajpur Medical College Hospital where doctors declared the duo dead. Vehicular movement on the highway came to halt for an hour following the accident. On information, a fire fighting unit rushed to the spot and made the highway clear for traffic movement. Police also seized the truck from the spot.